Instructing the students using PowerPoint slides, Word documents or Web pages and using hyperlinks for better concept clarity. 2. Helps in improving pronunciation of students by using microphones, headphones, speakers, specially prepared software and special dedicated websites. 3. Encouraging the students to use internet, surf web pages and gather relevant detailed information through search engines. Students will gain a lot of information and knowledge by positive use of internet. CBT stands for Computer Based Training. In CBT, we prepare different educational programs with the help of professional teachers and audio visual aids. These educational programs are generally in the shape of lectures on a specific subject. These programs are provided on CDs. Students will learn as and when they wish and at their own homes. They can view CD contents, view lecture notes, books or video lectures about their course work any time they need. Many web sites provide online education. You can read or download educational material and books. For example, Virtual University of Pakistan is an Online Educational Institution. Students use internet to access VU website. The students log in to their accounts and e-mail boxes. They interact with different teachers online. They receive and submit their assignments and work through internet to their teachers. Email systems or online chat systems are used for instant communication between students and teachers. Computers are also used for research work. Internet is a huge source of information on any topic. Students of any level can use internet to access useful information about their projects and research work. Moreover different researchers can share their research work with other researchers using computers and Internet. Researchers use computers to organize and store their research materials in computers. o Fees collection and maintenance of fees record. o Preparation of school/ college magazine, etc. with the help of Microsoft Word, a popular word processing software. Faster data processing, speed is the main characteristics of a computer. Huge and organized Storage of information, Vast storage is another main characteristic of a computer. Students and teachers can download and store large amounts of educational materials, books, presentations, lecture notes, question papers in computers. 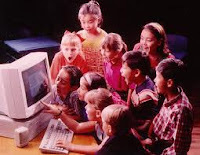 One of the main uses of computers in education is 'the Access to the Internet' for information search about any topic. 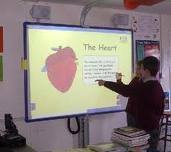 Another advantage of using computers in education field is Quicker communication between students, teachers and parents that improves quality of teaching and learning process. Parents can know the progress of their children through computers and internet, by browsing the website of the educational institute. They can check different examination results, attendance reports, curricular and co-curricular activities of their children.